Go ahead and add 2018 to the lengthy list. 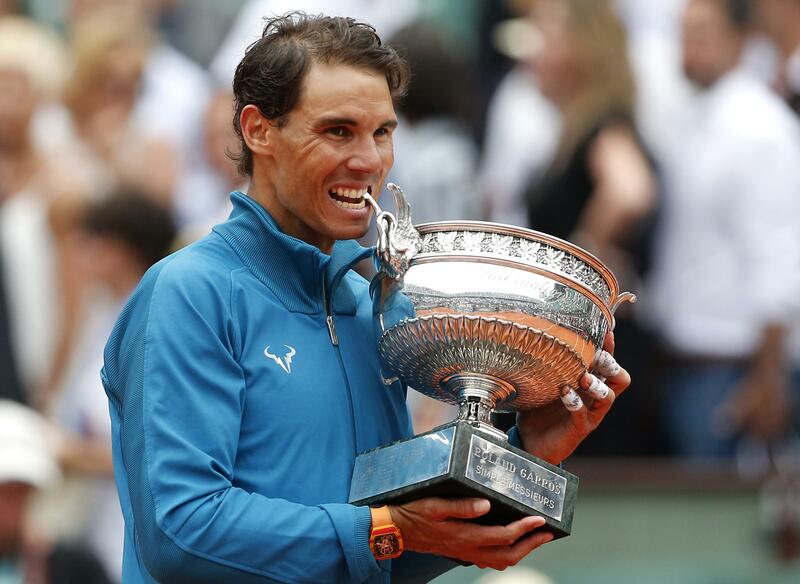 Nadal won his record-extending 11th championship at the French Open on Sunday, overcoming a late problem with a finger on his racket-swinging hand and displaying his foe-rattling best for a 6-4, 6-3, 6-2 victory over No. 7 seed Thiem, the only person to beat the Spaniard on clay over the past two seasons. So that’s what Thiem tried. He pounded huge serves, topping 135 mph (220 kph) – about 25 mph (40 kph) more than Nadal’s fastest – and that translated into seven aces, but also five double-faults. He attempted drop shots; some worked, some didn’t. And he took the biggest of big cuts on his groundstrokes, his feet leaving the ground as he threw his whole body into them, as if the very outcome of the match – not any individual point, but the whole shebang – depended on the strength of that one whip of his white racket. That led to 34 winners (eight more than Nadal), but also 42 unforced errors (18 more than Nadal). Published: June 10, 2018, 6:10 p.m.